Beijing, Nov 9: Companies from China and the US signed on Wednesday 19 deals worth a total of $9 billion on the first day of the US President's visit to the Chinese capital. The agreements, which encompass sectors such as energy, aeronautics and agriculture, were signed at a ceremony presided by Chinese Vice Premier Wang Yang and US Commerce Secretary Wilbur Ross at the Great Hall of the People, Efe reported. 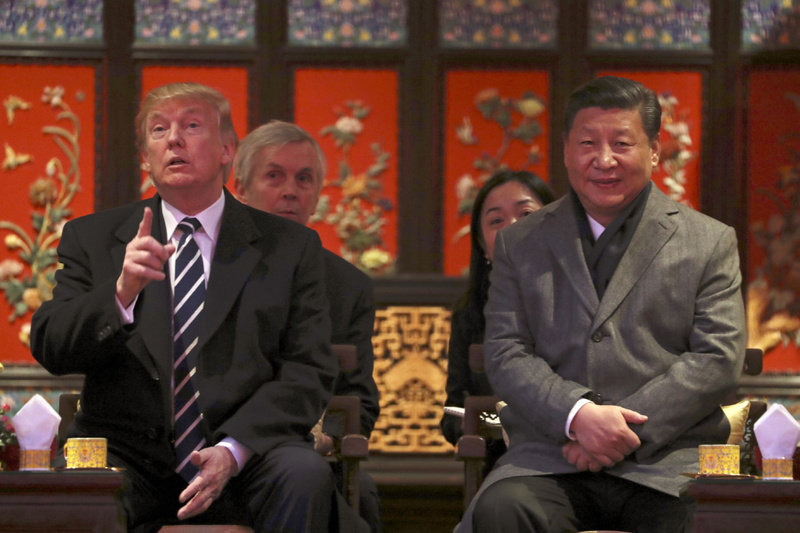 US President Donald Trump reached Beijing on Wednesday for a visit that includes meetings with Chinese President Xi Jinping and a business summit where both leaders will participate. Trump was accompanied by officials from some 30 big companies from sectors such as aviation, agriculture, biotechnology and machinery. Ross said in a brief statement that Washington aims to reduce the massive trade deficit with China. Wang said that the agreements were a warm-up ahead of the favourable outcomes that await in Thursday's bilateral talks. China on Wednesday published data related to foreign trade during the first ten months of 2017 that showed that the country's trade surplus with the US stood at $223 billion during the period, meaning a year-on-year increase of eight percent. Trump had made his country's trade deficit with China one of the focal points of his electoral campaign in 2016.